Continuing my previous post about the comparison of the American and the Soviet education systems I will now post a few photos of Stephen Lapekas – Alexei Kutzkov’s American counterpart. 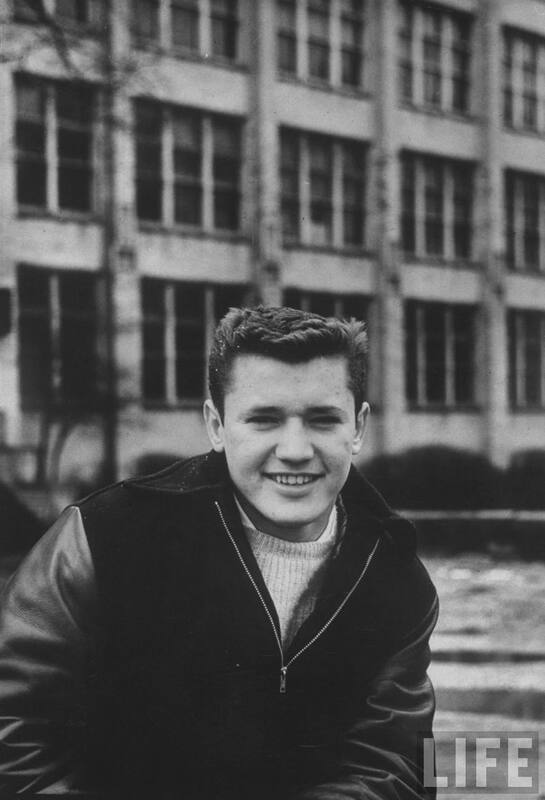 Student Stephen Lapekas posing for a picture.©Time.Stan Wayman. 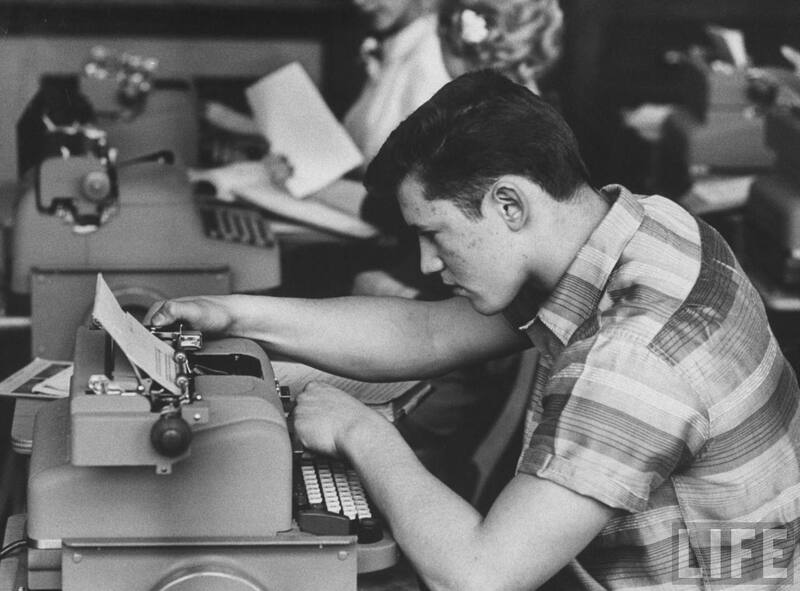 Student Stephen Lapekas sitting in typing class.©Time.Stan Wayman. 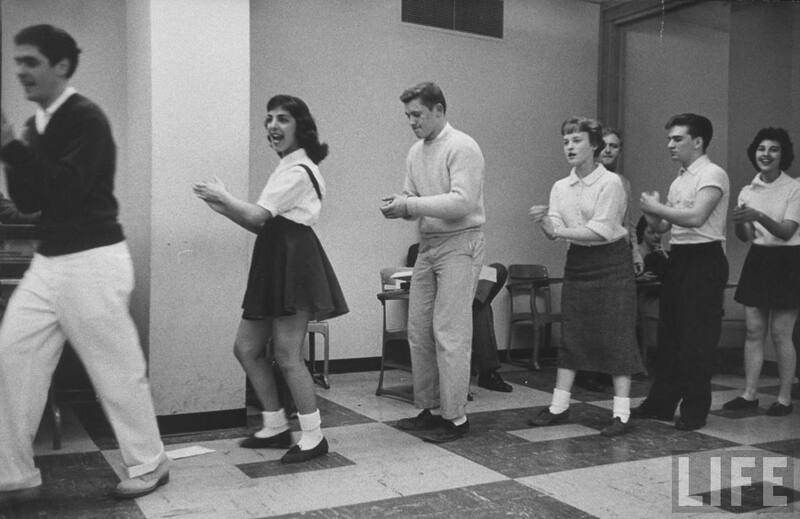 Student Stephen Lapekas (C) dancing at a dance.©Time.Stan Wayman. 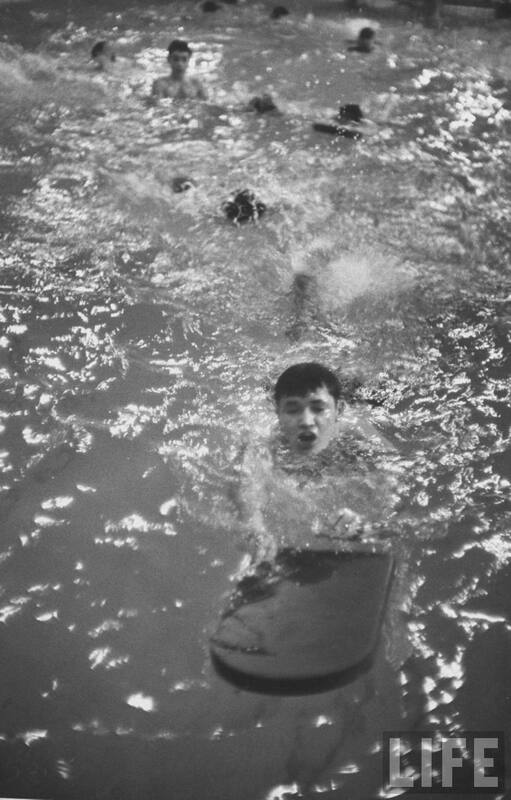 Student Stephen Lapekas swimming in a pool.©Time.Stan Wayman. 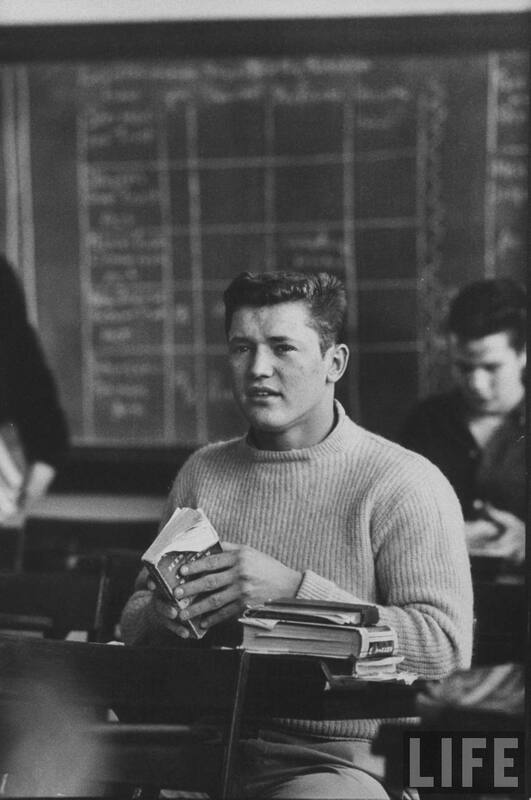 Student Stephen Lapekas (C) sitting in class.©Time.Stan Wayman. 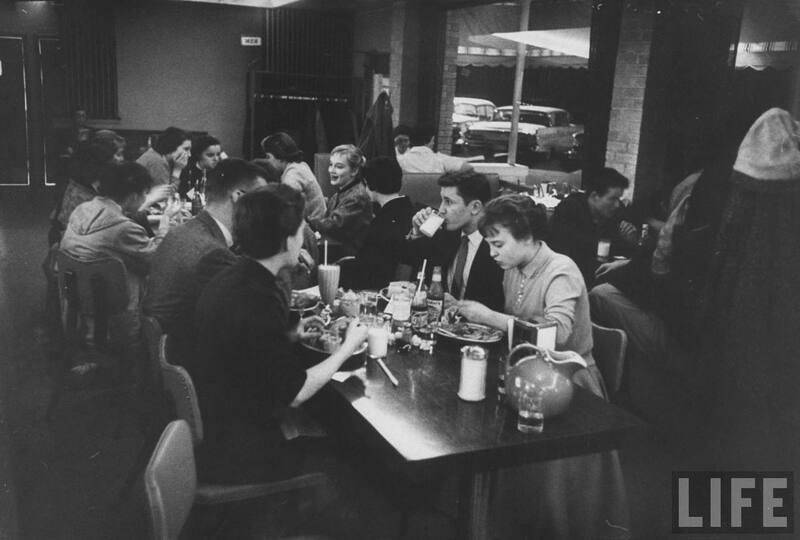 Student Stephen Lapekas (C) sitting in a restaurant with his friends.©Time.Stan Wayman. 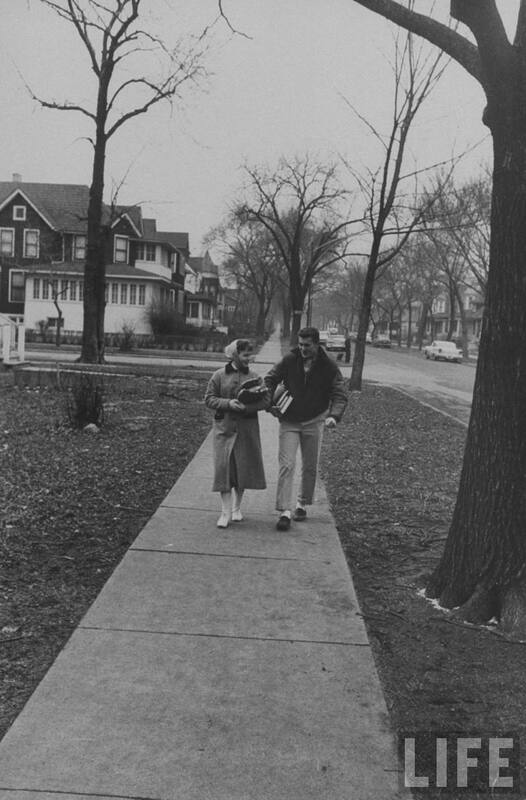 Student Stephen Lapekas walking with a fellow student to school.©Time.Stan Wayman. 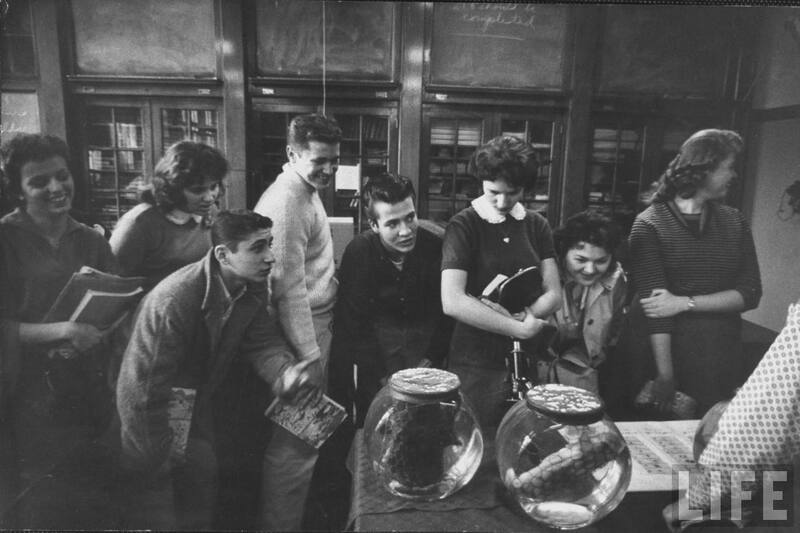 Student Stephen Lapekas (4C) standing with others in his biology class.©Time.Stan Wayman. 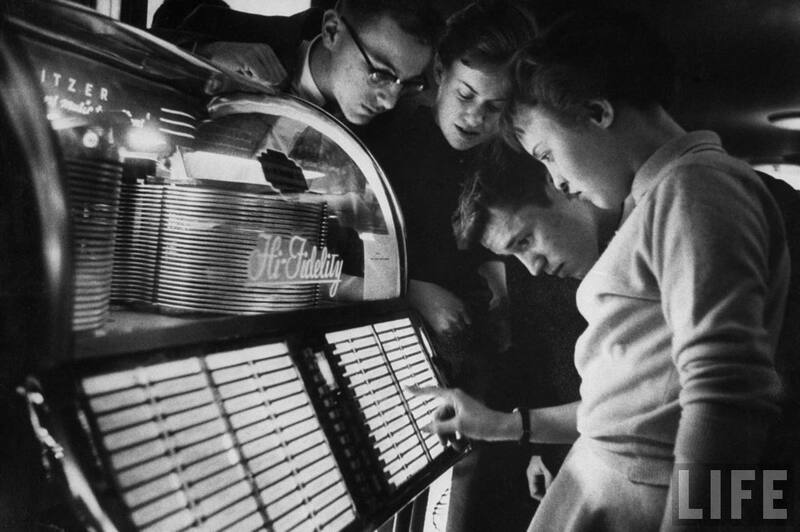 Student Stephen Lapekas (2R) playing a song on a juke box.©Time.Stan Wayman. 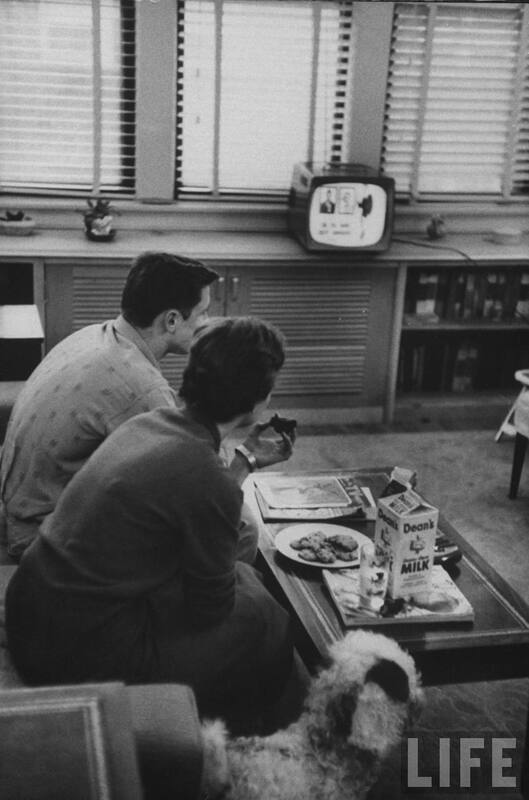 Student Stephen Lapekas (L) watching TV and eating a snack after school.©Time.Stan Wayman.©Time.Stan Wayman. Lapekas became a Navy pilot, then a commercial pilot for TWA; I am told Kutzkov works for the Russian equivalent of the FAA. Despite the seemingly different education systems in the Soviet Union and the United States, the article didn’t mention that the most important factor was not how the students were educated but how their country utilized their talent and knowledge after the graduation. In the USSR the graduate was likely to be drafted to serve in the military and after eventually graduating from college be assigned a low-paying job anywhere in the country. Most of the intellectual jobs such as engineering, science and medicine were paying less than manual labor to maintain the socialist class hierarchy, where intelligentsia was not considered a class like workers and peasants, but was tolerated as a mid-layer in order to serve the cause of the working class. Therefore, a welder was making more money than a doctor or a scientist with a PhD. In the end, the quality of life was probably better for the fun-loving American kid, than for his serious Soviet counterpart, whose abilities could not deliver him the material success he deserved.